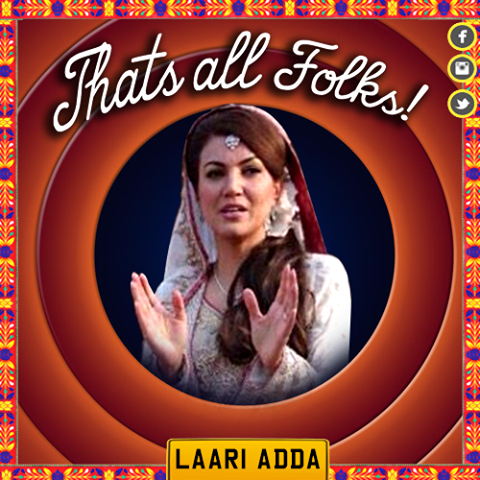 Pakistan Tehreek Insaf Chairman Imran Khan broke up with wife Reham Khan and whole nation got studly obsessed with it. The news of divorce made me think that why we give so much coverage to every news of this kind. Senior Journalist Arif Nizami, weeks ago break this news, after which he was highly criticized and labeled as fake journalist and preacher of yellow journalism. What we saw on news media and social media is unbelievable for me. A lot of people poked their nose by giving disgusting comments, which came from anti PTI and from the followers as well. Whole day this viral news ruled the main slots on all news channels. When there was nothing much to cry over, then news channels invited astrologers and tarot card readers who gave prophecies and advises which neither of them has asked for. The most hilarious thing which I saw was one channel on aired Reham’s makeup artist’s talk that what kind of relationship Mr. and Mrs. Khan were having. PTI women fan following cursed Reham of being the one to break this marriage and many were happy that Khan is again single. Those who calls Reham an opportunist used to quench their throats by calling her National Bhabhi. Is it an ethical response to your leader’s divorce? On the other side we see those misogynists blaming Reham as a wrong choice for Mr. Khan as she was a journalist. Reham was brought up in an open society and she was a journalist as well, so it was obvious that the two couldn’t stay longer for being different on their personalities, said the experts and journalists. Code of ethics in journalism has been forgotten when news anchors were showing pity towards the poor divorced Reham Khan and saying that what she could do next? Well they also revealed how much wealth she’ll be getting after this break up. From people to national media, all has well played in being a nosy relative of the divorced couple and proved that if Imran would have taken their advice then he must have got some success. Many rivals blamed Mr. Khan for his broken marriages and said he is not capable to run a country. Well number of wives or successful marriage does not assure the capability to be successful in your professional life. I can think of Bill Clinton in this respect. I just hope the people get on with their lives and news media get something else to talk about and stop ridiculing the divorced couple.